Guzzling protein shakes brings to mind some very specific images of Hulk-like bulking from the mid ’90s. Blame those OG ads and their mega-muscly male target demo, but despite knowing how important protein is to muscles, I never learned how to supplement with it myself, and I’m not alone. One study showed that protein supplementation was a ritual that about 30 percent of women engaged in, compared with close to 70 percent of men. So, IMHO, it’s time to uncomplicate the practice of protein supplementation for women. Like right now, thank you very much. “In the past, protein supplements have really been more targeted towards men,” says sports nutrition expert Marie Spano, MS, RD, CSCS, CSSD, even if not intentionally. With the colors on the supplement labels and the ads used to promote them, the messaging has been that: “Hey, this is for men. It helps you get bigger,” she says. But we know that’s not actually that true. “For women, protein supplements aren’t going to create bulk—we don’t have the hormones for that,” says nutritionist Lisa Kilgour. Truth be told, it’s not going to do much of anything (for anyone) unless you have a strength-training routine to accompany it. “One must lift consistently and follow a really good training program to build muscle,” confirms Spano. In fairness, over the last few years, protein companies have started to wise up to the fact that a good portion of the population kind of looks like the shrug emoji when asked how to use it. 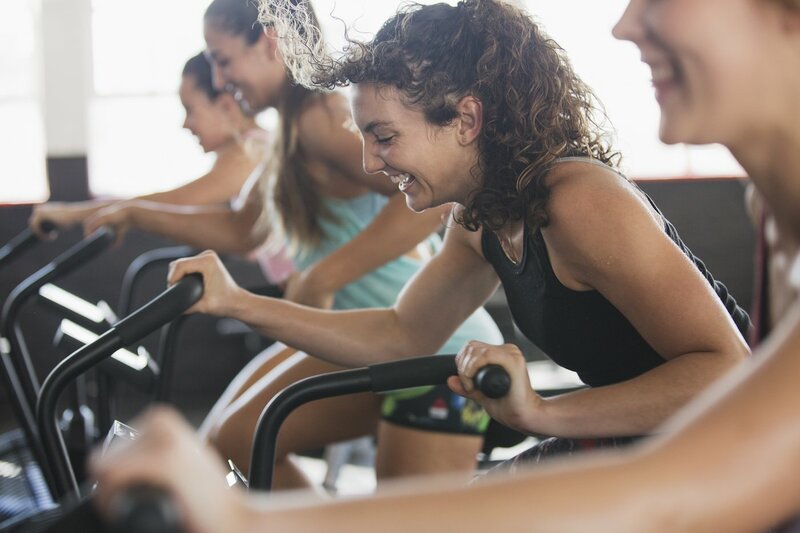 As more-and-more women are starting consider the benefits that protein can offer outside of the gym—like increased energy and more radiant skin, to name a few—brands have pivoted to meet the demand. But confusion still abounds on the right kind to take and how it boosts a sweat sesh. Keep scrolling to set the record straight on both of those things. No matter what type of workout you’re doing, protein supplements are meant to be just that: supplements. Nutritionists agree that they’re not 100 percent necessary as long as you’re getting the right amount of protein from the rest of your diet (ICYWW that’s a third a gram per pound of body weight). “They can be a nice tool when you’re first going to the gym, when you’re looking at changing your diet, when you’re starting to create some balance,” says Kilgour. Adding a scoop of powder to your regular routine can keep you feeling full for longer (and keep you from crashing at 3 p.m. on the dot), plus it could even help you see results from your workout.